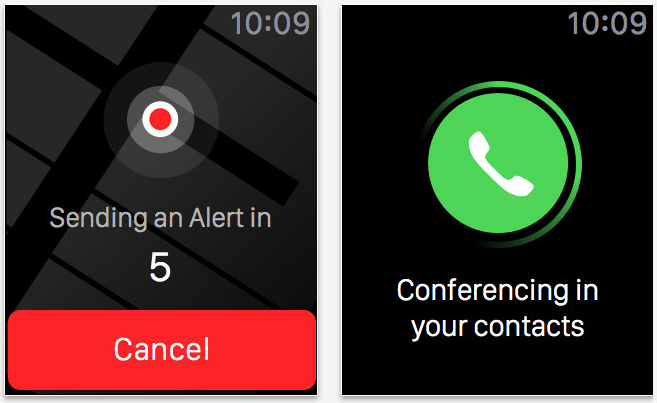 A look at the app as it appears on Apple Watch. We’ve recently heard some amazing stories about the life-saving abilities of Apple devices, such as the young boy trapped under a truck who managed to call 911 by using Siri, or the person whose live was saved by the Apple Watch heart monitor. Alert basically builds on this idea — allowing anyone caught in physical or emotional distress to simultaneously text their location to all of their most trusted contacts at once. There’s no typing or dialling involved; simply tapping a single button. The app also lets diabetics get alerts if they have a blood glucose monitor connected to their iPhone — letting users contact people for help or escalate the alert by calling emergency services. 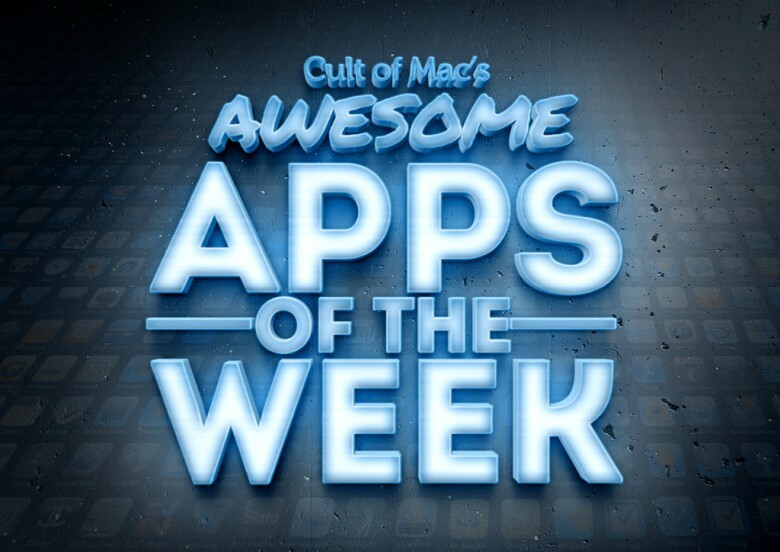 Probably not the week’s most fun app, but this is the exactly the kind of tool that make us glad iPhones and Apple Watches exist. The illustrations, by Tony Hough, are gorgeous throughout the game. 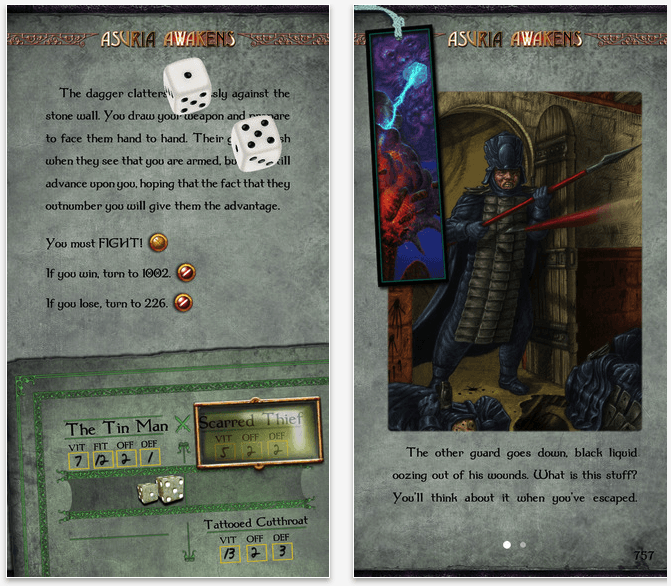 From a life-saving app to one that will consume your life, we next move on to Asuria Awakens, the latest in a long line of choose-your-own adventure gamebooks. Now, granted, this type of game’s not necessarily going to appeal to everyone, but if the concept of a dice and text-based RPG in which you read through a story and make decisions about the direction appeals to you — well, it’s hard to think of a time it’s been done better. Asuria Awakens puts you in control of a character investigating the mystery of a missing emissary from Orlandes City. The emissary has been sending messages concerning tremors and civil unrest, and there are rumors about the return of a legendary god called Asuria, too. If you’ve got this far without scanning on to the next app in this list, Asuria Awakens could well be for you. There’s nothing about it that couldn’t exist as a physical gamebook, but sometimes it’s a bit hard (or embarrassing) to start rolling dice at your desk during a work day. Go home chess, you’re drunk! Damian Sommer’s Chesh takes the classic puzzle game we all know and love, and gives it a makeover. Unlike chess, in Chesh gamers don’t know how pieces will move until they start a game. Each time you play there’s a new randomly-generated board, and whole new moves for your pieces. You can capture your own pieces, change the width of the board, and far more — all with gorgeous 8-bit graphics. It sounds strange (and, at first, it is!) but if you’re a puzzle-game fan Chesh comes highly, highly recommended by us. We’ve got photo apps which can make your selfies look like they come from the 60s, 70s, 80s or 90s… so why not the Victorian era as well? 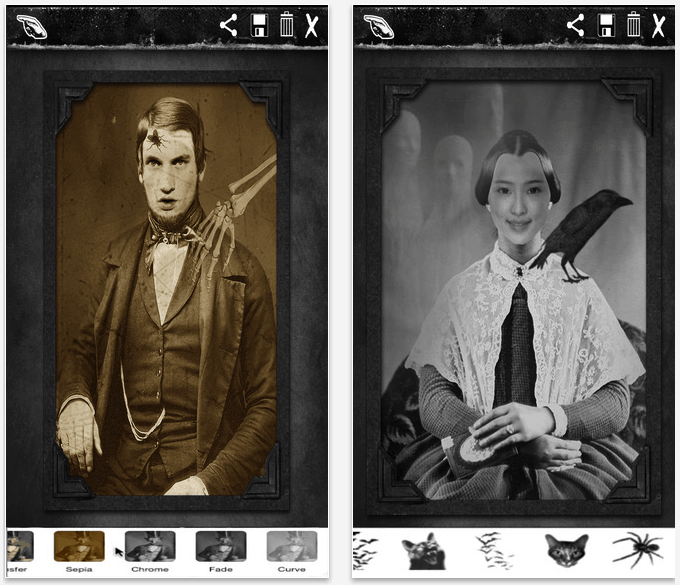 In the run-up to Halloween, Creepy Victorian Photo is a fun app for putting you in the middle of a creaky old vintage photo. You select one of 184 old Victorian portraits to which you want to add your face, then select a photo from your camera roll or Facebook, and tweak it to look as “realistic” as possible. There are dozens of filters you can use, over 200 additional stickers, and the option to add text and captions. It’s certainly not an in-depth photo editing tool, but it’s definitely a lot of creepy fun. Twitter is trying to something new. An update to its existing app, Twitter this week launched a new feature called Moments which provides an overview of the hot topics which are breaking each day — without you having to follow the right people or keep your eyes glued to the trending lists. Tapping on the lightning bolt icon within the app now lets you browse topics, including entertainment and sports, and scan through the day’s most pressing news topics. Looking at one individual Moment will provide you with an introduction to the news story, along with all the key images, videos, Vines, links and GIFs you need to check out to keep on top of things. 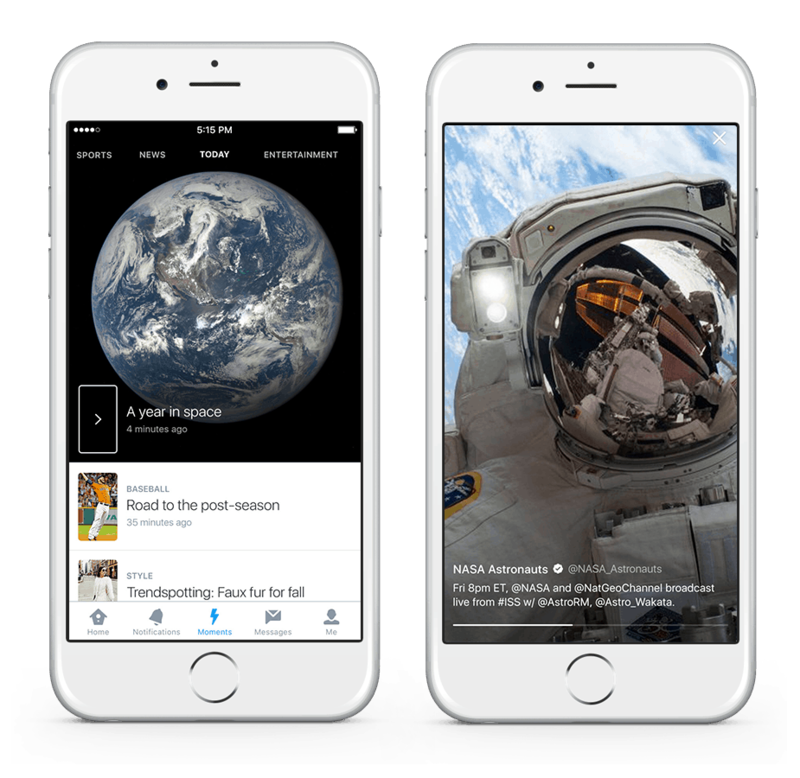 Definitely an interesting update for anyone who relies on Twitter for their news fix.